Interested in Pediatric Research? 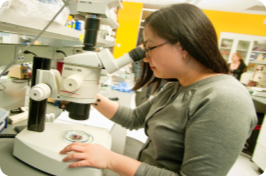 The Office for Teaching, Education and Research (OTER) connects graduate students, undergraduate students, and high school students with research and training opportunities throughout Seattle Children’s Research Institute. In addition, we provide programming and resources that help students and trainees advance their research interests, skills and careers. Our goal is to help train future scientific leaders as they prepare to address some of pediatric medicine’s most complex problems. Seattle Children’s is committed to supporting equity, diversity and inclusion for all students and postdoctoral fellows. Summer Opportunities are Available! Apply Now!